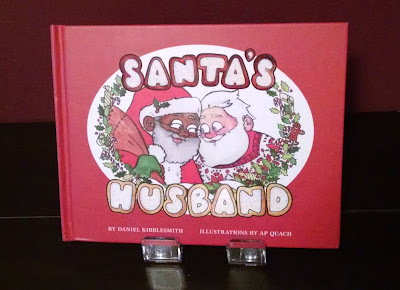 Santa's Husband is a children's book where the Plump Jolly Old Elf is portrayed as a black man who's so busy, his white husband fills in for him at the mall, leading to some confusion as to his identity. If that premise doesn't intrigue you, you're reading the wrong blog. I stumbled across a link to an interview with the writer, Daniel Kibblesmith, that included some shots of AP Quach's artwork. Between those and the description, I was sold. The book is thirty-two pages, and there's no real plot or story. It's more a series of kid-friendly pictures coupled with text introducing you to Mr. Claus, Santa's husband. Like a lot of children's books, it reads like a series of comic vignettes. It's a fantastic reimagining of Santa and his operation, and the relationship between Santa and Mr. Claus is sweet and touching. Towards the end, it offers a brief introduction to multicultural holiday traditions that's refreshingly diverse. The writer anticipated controversy - there's a page where a right-wing pundit shouts nonsense about Santa's race and orientation. It also might explain why this is being classified under "humor." While there are jokes in the book (a few great ones, incidentally), its tone is no more humorous than any other well-written work in the genre. And there's certainly no content inappropriate for kids - the book is about as sweet and adorable as it could be. 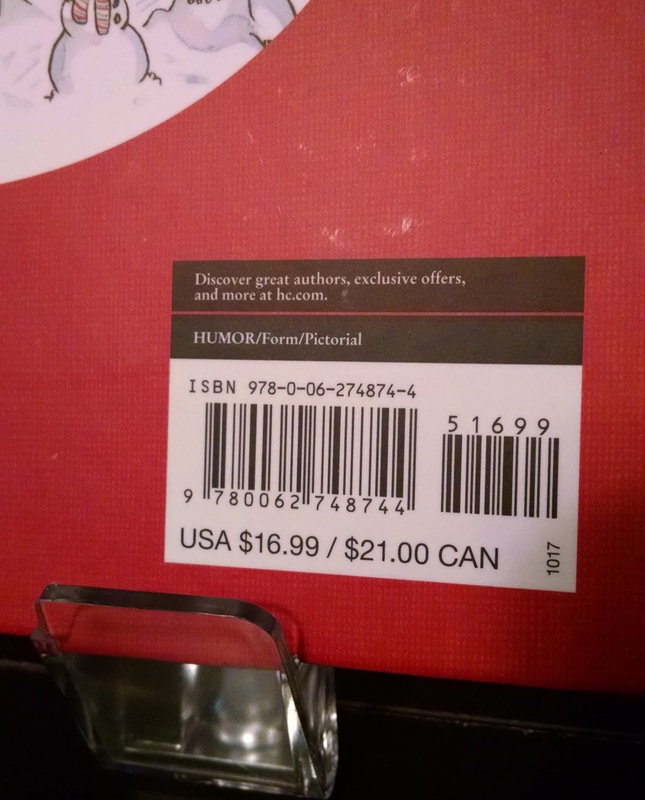 I assume the publisher wanted it under humor to prevent bookstores from skipping it out of fear of controversy. That would be understandable, but it's a shame. While this is enjoyable for adults, it's really geared towards kids. And, while grownups might find politics inside, allusions to global warming and unions are side-gags, not indoctrination. And it should go without saying that the central concept, that Santa's in a loving relationship, shouldn't be perceived as political by anyone. To be fair, there's another possible explanation for the humor classification. 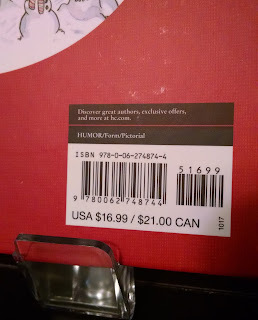 The book gives Rudolph a couple cameos, so the "humor" designation might be a way of justifying the use as parody. But frankly, this is a kid's book and a damned good one. If you're looking for a small gift for a toddler, you couldn't do much better. Oh, one more thing. If you work in a bookstore that carries this, could you do me a small favor? Head on over to the humor section, grab all but one or two copies (in case someone's looking for it there), and take them to the children's section where they belong.